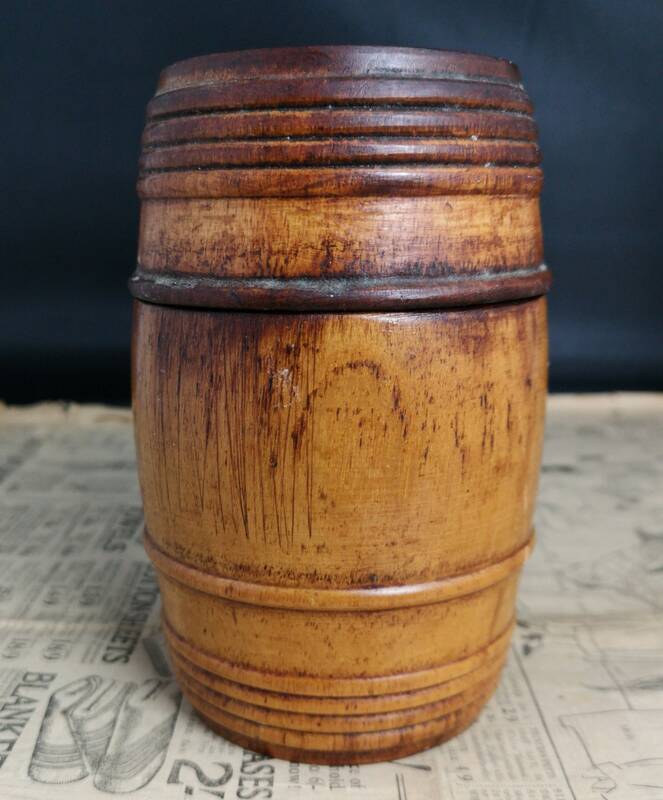 A fantastic late Georgian barrel shaped tobacco box. 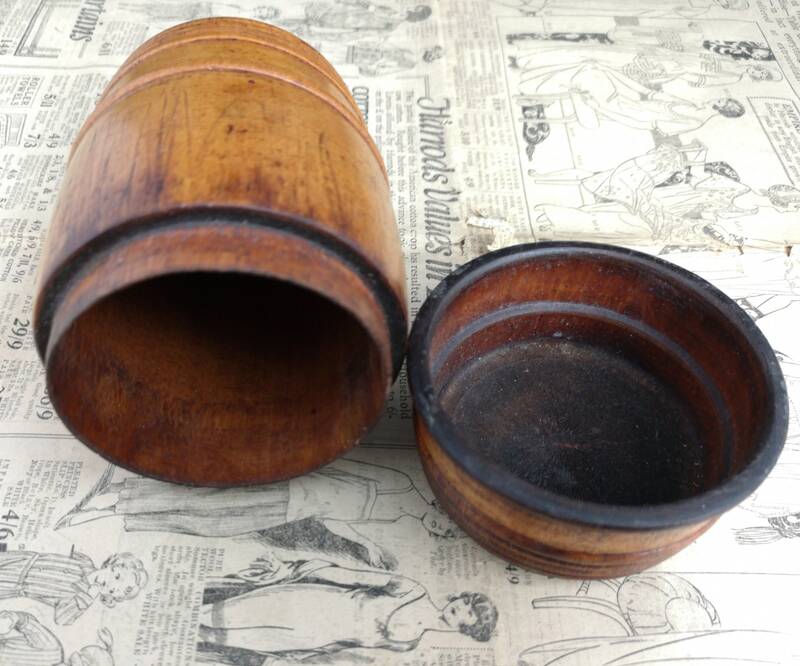 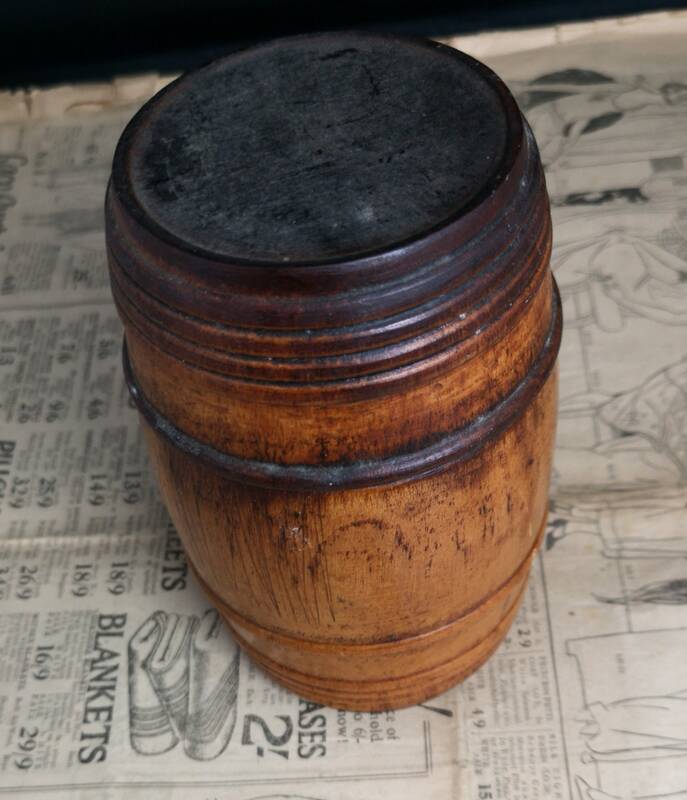 Large barrel shaped box with a push on lid, both ends gadrooned to give the barrel a realistic feel. 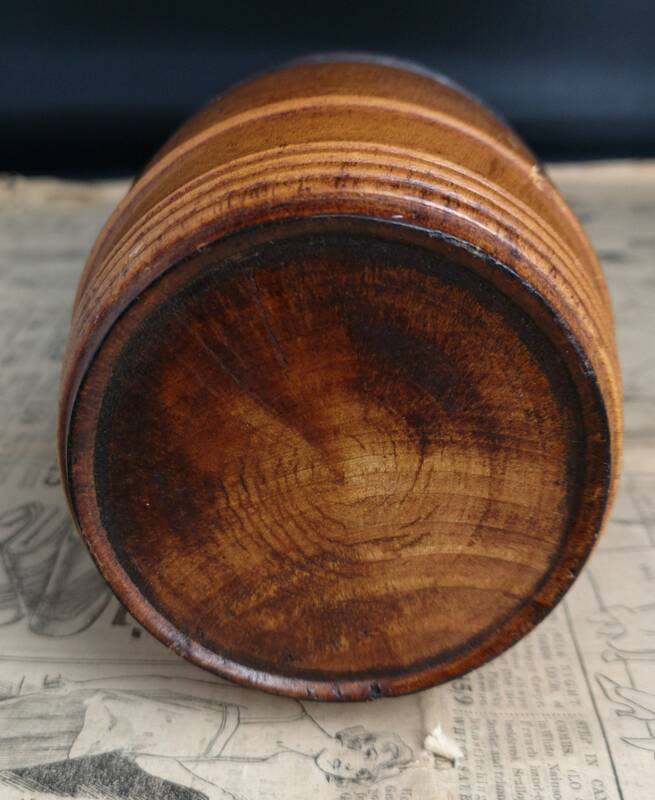 Lovely patina and grain it has been lacquered on the outer to give it some protection. 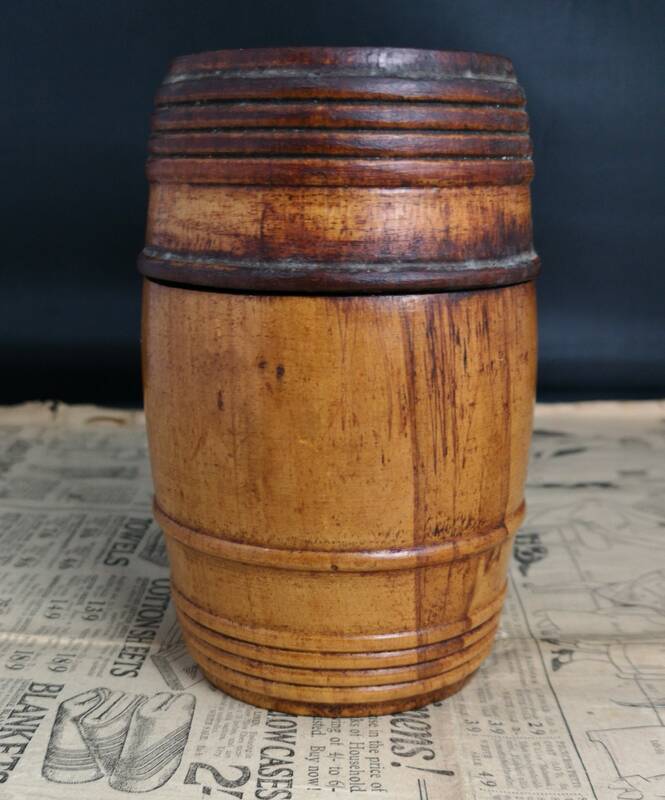 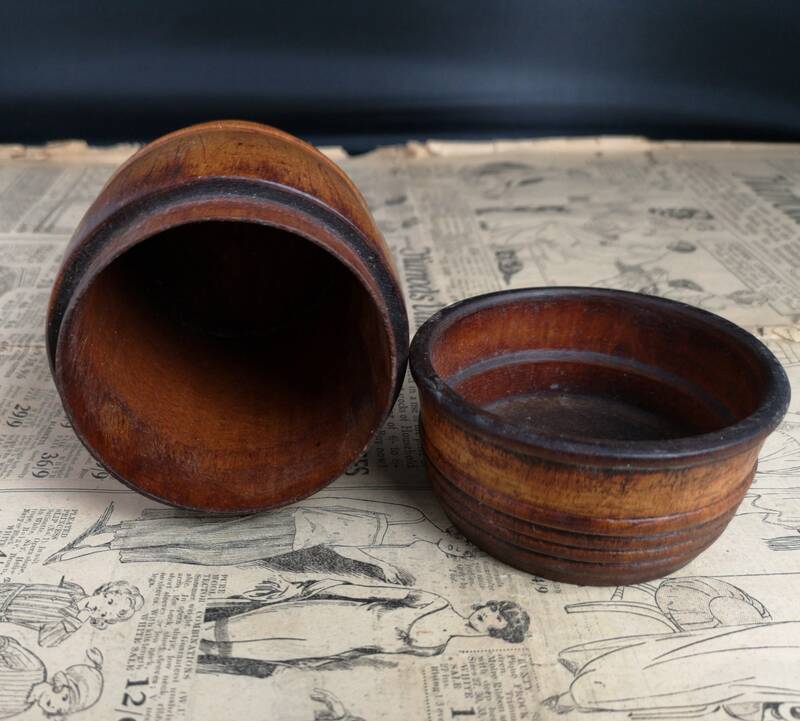 A great piece of antique treen, great for the tobacciana enthusiast or Georgian era collection.